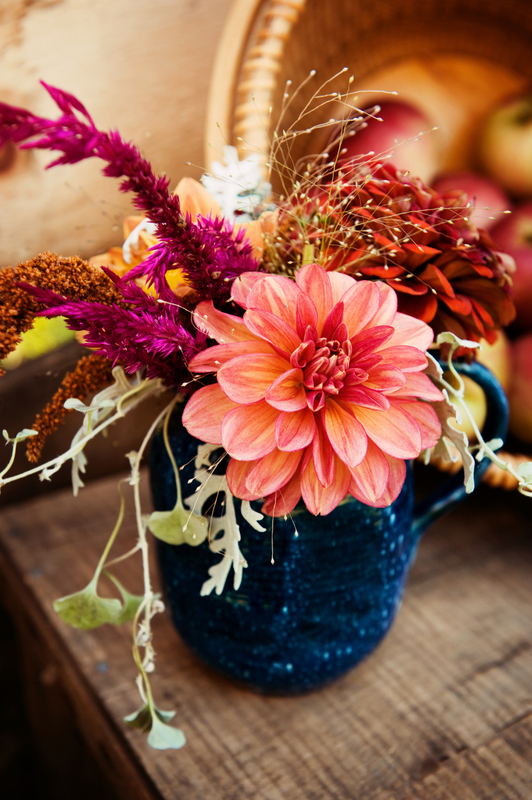 We offer many types of flowers and grasses for all of your fall arrangements. In the field you will find cut your own globe amaranth, celosia, salvia, straw flowers, sunflowers, gladiolus and dahlias. Step into the barn store and you will see a wonderful selection of arranged bunches of flowers hung from the ceiling for drying and available for purchase.